I work as a Healthcare Consultant and also as a Counsellor, both roles working with the public but requiring different registrations. I am independent and while I work daily with fellow registrants I am keen to understand what I personally need to do to revalidate. I have just ‘renewed’ under PREP and my 3 years will then commence from June 2016, revalidating in June 2019. All registrants have 90 days to revalidate once they reach their 3 years. 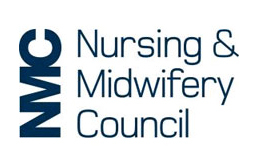 It is expected NMC will launch Revalidation in October 2015 with a go live April 2016. So now we follow PREP renewals and after April 2016 Revalidation. As a Registered Nurse for Adults working within policy, education and management I was very keen to understand what revalidation means to me personally and how I can begin to prepare. It is a common misconconception that 450 practice hours means hands on nursing. It does not, it means 450 hours active engaged in your role, in my case managerial and not hands on. I will evidence on my log specifically what these hours relate to and with which organisation. Today I attended NIPECs Revalidation Roadshow at Stormont and I was not disappointed. As a Council Member I understand very well the good work that NIPEC deliver in NI but today I was focussing on me as a registrant and Senior Professional Officer Frances Cannon delivered an exceptional presentation, approved by NMC which I found motivating, exciting and informative. Revalidation will work hand in hand with the new CODE. Revalidation will be required every 3 years and replaces what we understand currently as PREP and the Notification of Practice form (NOP). Practice hours – 450 or 900 if dual as a midwife. All listings on part 1 of the register is 450. These must be evidenced in a log. Continued Professional Development (CPD) – 40 hours, 20 of which must be participatory, that is shared participating learning. Practice related feedback. 5 pieces of evidence. This can be obtained from Managers, Patients including thank you cards, RQIA reports, Quality Assurance reviews, Peers, Satisfaction Surveys, Audits, and Complaints for example. They will be anonymised. Reflection and discussion with a fellow NMC Registrant. 5 pieces of evidence. These are written reflection on CPD and practice related feedback and they must link back to the code under any of the four themes. The Registrant will provide their PIN number to evidence they are on the register. This meeting should be planned and structured. Supervision is ideal for this and I am encouraging organisations now to set up structured supervision that will evidence this area. It msut be face to face. NMC have templates available. It is the registrants responsibility to seek out a fellow NMC registrant to have these discussions. I am making a mental note of who I can ask. Health and Character. I was interested to note that NMC do not require notification of speeding points. Confirmation from a third party. CONFIRMER NMC. This person can have your reflective discussion at the same time. Appraisal is a good time for this. Again setting these structures up now will help organisations prepare. CONFIRMER NON NMC. This person does not need to be on the NMC register but needs to be on another professional register, examples, GPs, Social Workers, Pharmacists. It needs to be highlighted that a CONFIRMER NON NMC cannot confirm a registrant without the NMC registrants feedback in the Reflection and discussion session. the third party is verifying that you have the evidence to meet the criteria to revalidate and does not endorse fitness to practice. Currently there are templates on the NMC website and these are likely to be updated following the pilot. They are guidance and individuals or organisations can create their own as long as they fulfil the criteria. I feel a lot clearer now on what I need to do. I feel motivated to go online and start recording. If unsure ask, there are lots of people available and if you didnt get to attend the roadshows the presentations are on the NIPEC and NMC websites. I was worried about the revalidation process and your blog has helped me understand what will now be expected of me and provided lots of links for any queries I may have in the future. Dawson I am glad you found it helpful.